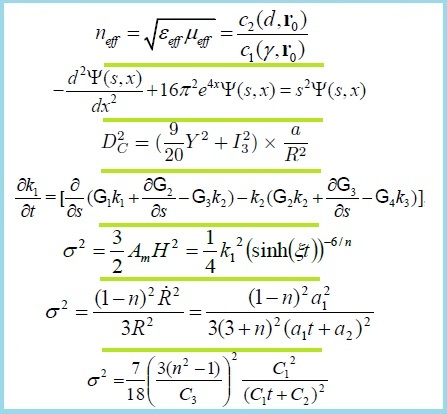 On Principal Invariants in Canonical Coordinate System; Wave Equation & Lanczos Potential; Bianchi Type-I Radiating Model in Lyra Geometry; Strange Quark Matter Attached to the String Cloud; Kaluza-Klein Minimally Interacting Holographic Dark Energy Model; LRS Bianchi Type-I Dark Energy Models Based on Scalar Field; Inextensible Flows of Space-like Curves in Light-like Cone; On the Noether’s Theorem; Two Results for the Terminating 3F2 (2); Null Mannheim Curves in Minkowski Space-time; Sachs-Wolfe Acoustic Theorem & Fractal Laplace-Beltrami Operator; & The Mystery of Magnetars. 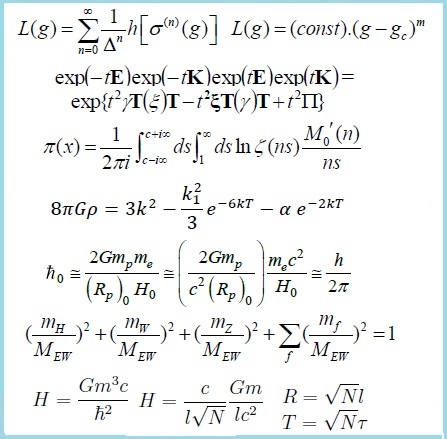 Matrix Approach to Petrov Classification; The Motion of the Test Body in the Gravitation Field; Scale Independent Unified Quark Physics; Magnetized Bianchi Type-III Cosmological Model; Two-Fluid Models in Hypersurface-Homogeneous Spacetime; Dark Energy Cosmological Model in f(R,T) Theory of Gravity; Five-dimensional Bulk Viscous Cosmological Model; Gauge Identities & Genuine Constraints; & Ratio of Nuclear Binding Energy & Protons Kinetic Energy. 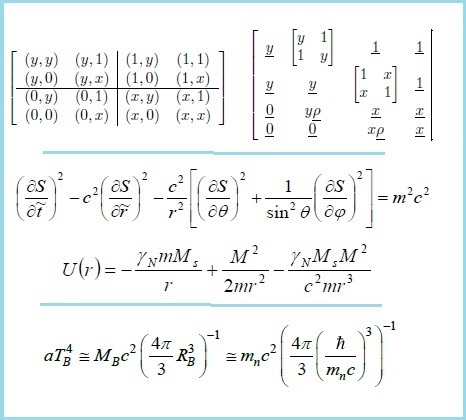 Faraday Tensor & Maxwell Spinor (Part I & II); Gauge Field of the Self-interacting Quantum Electron; On Up & Down Quarks in Understanding Nuclear Binding Energy (Part I & II); & Time-Dependent Λ in C-Field Theory with ..Barotropic Perfect Fluid. Open World of Quantum Cosmology; Connection between Fractal Manifold & Quantum Spin Fractal Manifold & Non-Commutative Field Theory; Classical Part of the Twistor Story; Criticality & Dark Matter; On a Nuclear Binding Energy Formula; on Pioneer & Flyby Anomalies; & On Cosmic Redshift & Strengthening Hydrogen Atom. 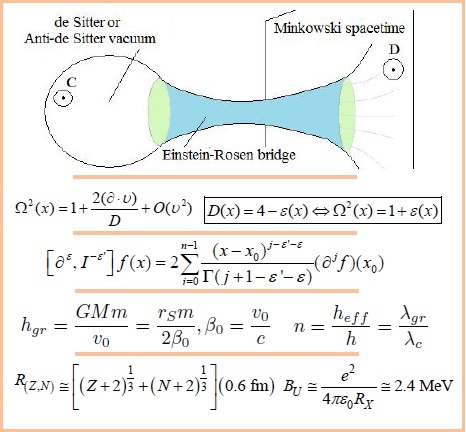 The Catuskoti: the Union of True and False; Solution of the Kepler Problem in Lorentz-invariant Gravitation Theory; & On the Temperature of Black Hole". 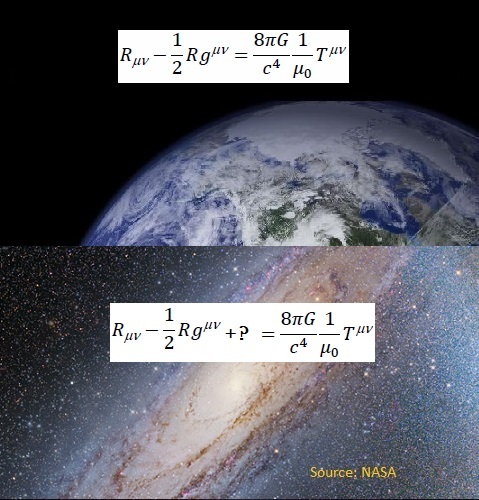 Two Background Unified Numbers & Their Possible Role; Barotropic Cosmological Models with Varying Gravitational Constant; Bianchi Type-III Radiating Cosmological Model in Lyra Geometry; LRS Bianchi Type II Tilted Stiff Fluid Model with Heat Conduction; Higher Dimensional Perfect Fluid Cosmological Models in f(R, T) Gravity; The LRS Bianchi Type-I Strings with Strange Quark Matter; & An Exact Solution of a Coupled ODE for Wireless Energy Transmission. 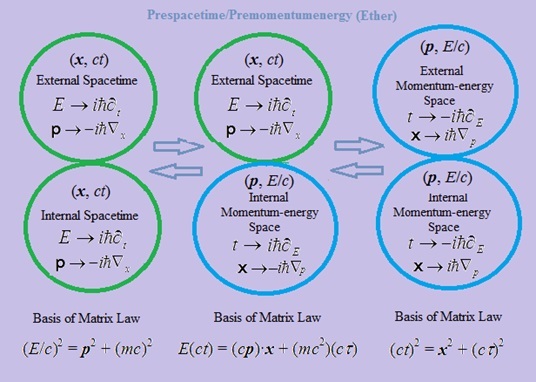 Prespacetime-Premomentumenergy Model I: Quantum Theory for a Dual Universe Comprised of Spacetime & Momentumenergy Space; Prespacetime-Premomentumenergy Model II: Genesis of Self-Referential Matrix Law & Mathematics of Ether; & Modeling Methods Based on Prespacetime-Premomentumenergy Model. 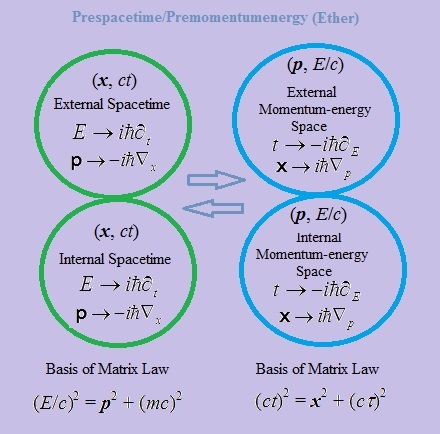 Premomentumenergy Model I: Generation of Relativistic Quantum Mechanics for a Dual Momentum-Energy Universe; Premomentumenergy Model II: Genesis of Self-Referential Matrix Law & Mathematics of Ether; & Modeling Methods Based on Premomentumenergy Model. Electroweak Theory on Minimal Fractal Manifolds; The Seesaw Mechanism and the Structure of Spacetime; Semi-Analytical Methods for 9th-Order Korteweg-de Vries Equation; Anomalous Neutron Behaviour; Bianchi Type-III Cosmological Model with Bulk Viscosity; Anisotropic Charged Star in Krori-Barua Space Time; Kantowski-Sachs Dark Energy Model in Scalar Tensor Theory; On the Plausibility of an Upper Bound Uncertainty Principle; & On the Plausibility of Final Unification with Avogadro Number. 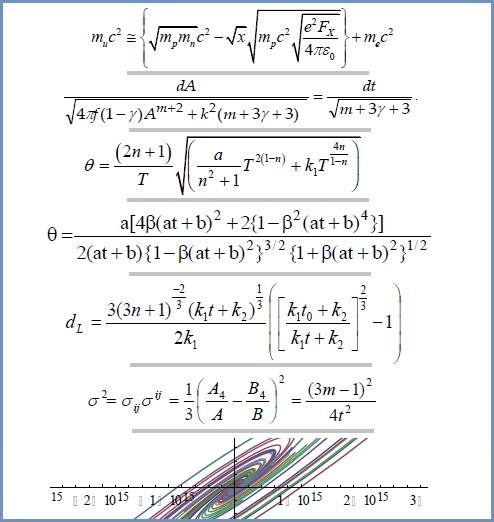 Fractal Space-Time & the Dynamic Generation of Mass Scales; Generalized Tanh Method Extended with the Riccati Equation; Gravitational Problems of Lorentz-Invariant Gravitation Theory; C-Field Barotropic Fluid Cosmological Models; Two Fluids Viscous Dark Energy Cosmological Models; Bianchi Type-I Cosmological Model with Varying G & Ʌ Term; Charge Quantization from Fractal Distributions; Scale Independent Evolving Quantum Black Hole Cosmology; & Planck Results Cast Doubts on BICEP2 Claim. 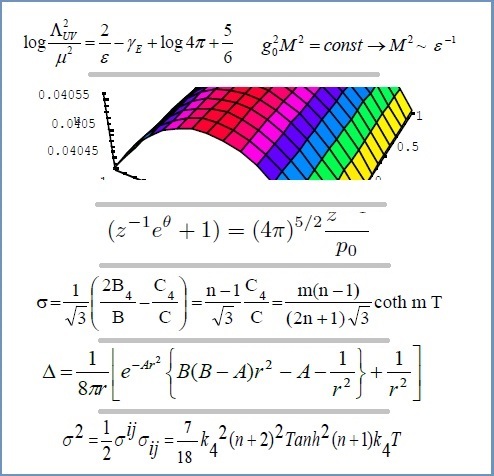 Fractal Propagators & the Asymptotic Sectors of QFT; Physical Reality as a Creation of Consciousness (Part III); Math. 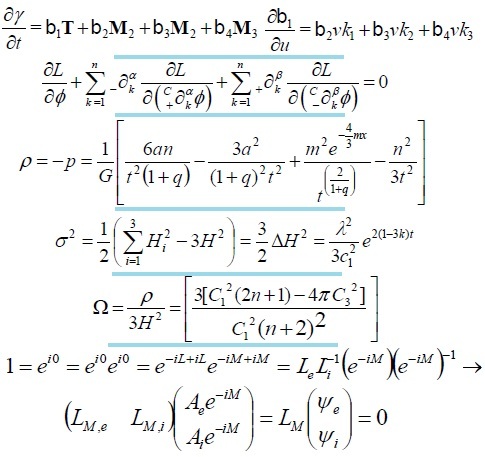 Apparatus of Lorentz-Invariant Gravitation Theory; Bianchi Type-III with Negative Constant Deceleration in f(R, T); Bulk Viscous Models Coupled with a Scalar Field; Bulk Viscous Bianchi Universes Coupled with Zero-Mass Scalar Field; Bianchi Type I Models with Viscous Fluid & Decaying Vacuum Energy; Schwarzschild Radii of "Molar Proton & Electron Masses"; Galaxy Rotation Curves & Galactic Radial Distances in BH Cosmology; & Universe with Boundary & without Singularity. 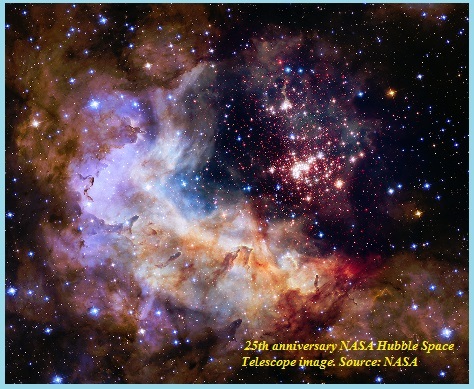 On the Chirality of Spiral Galaxies in Clusters; Multifractal Theory and Physics of the Standard Model; E8-Geometry Based Quasicrystal Mathematics; Physical Reality as a Creation of Consciousness (Part II); The Source of Consciousness as an Empty Space of Potentiality; On Cosmic Redshift, Temperature, Large Numbers; Plane Gravitational Waves in Generalized Peres Space-Time LRS Bianchi Type-I Models with Perfect Fluid & Dark Energy; String Cosmological Models in Cylindrically Symmetric Universe; & New Models of Microscopic Vacuum & Particles. 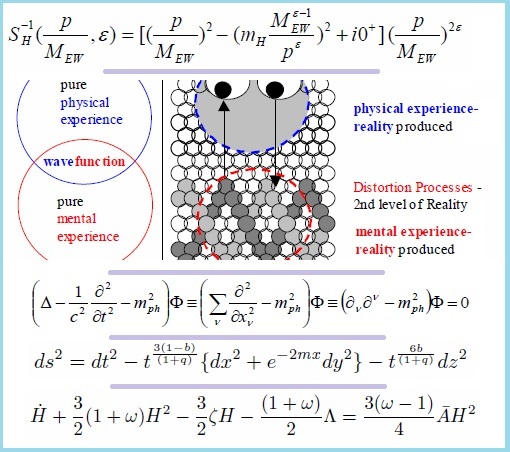 Physical Reality as a Creation of Consciousness; The Physicist's Dilemma: Ultimate Nature of Reality; The Axiomatics of Lorentz-Invariant Gravitation Theory; Mesostratum: A Signal Transmission Modality; Theory and Model on Atmospheric Windows; Dark Energy Model in Bianchi Type-V String Spacetime; Bianchi type-V String Cosmological Model with Domain Walls; Plane Wave Solutions of Moffat & Boal’s Non-Symmetric UFT; & A New Class of Bulk Viscous Cosmological Models. 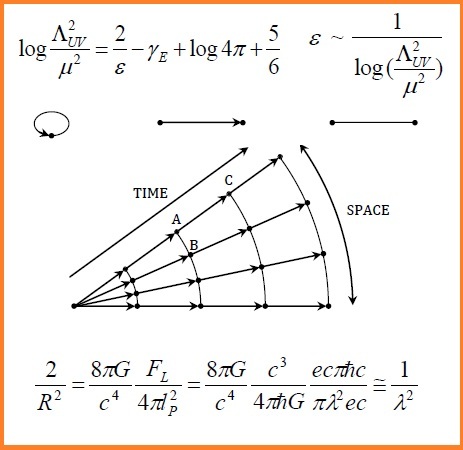 Origin of Gravitation Mass in Lorentz-invariant Gravitation Theory; GravitoElectroMagneticProca-type Equations in Fractional Space; 5-Dimensional Anisotropic Bianchi Type-I Model in String Cosmology; Tilted Plane Symmetric Magnetized Cosmological Models; Review of Schrödinger Equation & Classical Wave Equation; On the Hall Effect and Graphene; & On Expansion Energy, Dark Energy & Missing Mass. This is a Focus Issue featuring Matti Pitkanen's latest work: Interpretation of BICEP2 Results in TGD-based Cosmology; Negentropic Entanglement & Topological Quantum Computation; General Ideas about Octonions, Quaternions and Twistors; & Recent View about Kahler Geometry and Spinor Structure of WCW. 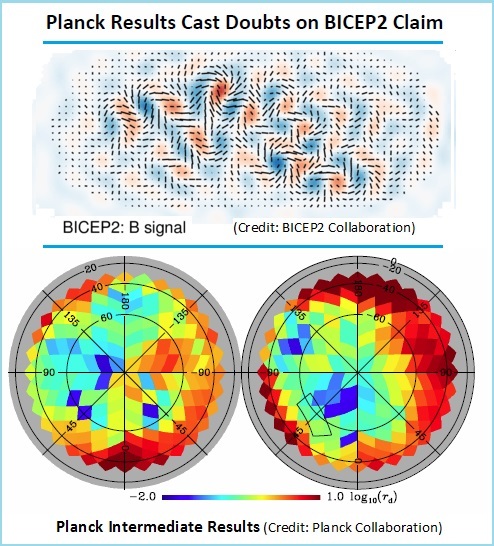 How Certain Are the BICEP2 Findings? 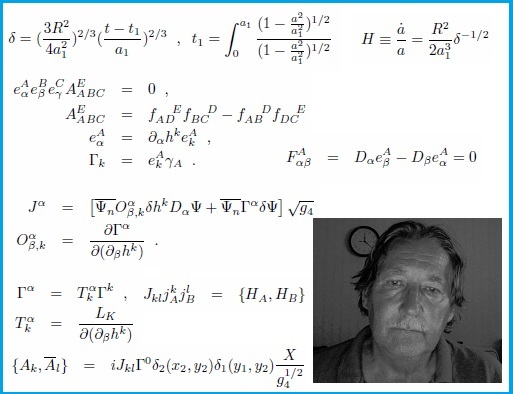 BICEP2 Results: “[F]irst direct evidence of cosmic inflation”; Magnetized Kerr-de Sitter Geometry; Varying Λ(t) in Creation Field Theory of Gravitation; Cosmological Model with Domain Walls; On Gravitational Constant at the Low Energy Scale; Who Might Get the Nobel Prize for Cosmic Inflation? & Will the 100 TeV Hadron Collider Get Built? 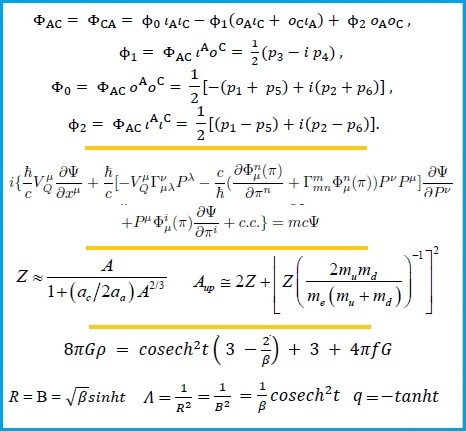 Constant EoS Parameter in Barber’s Second Self-Creation Theory; Anisotropic Bianchi Type-I Mesonic Cosmological Model; Parallel Curves of General Helices in the Sol Space Sol3; Commutator Curves & Exponential Maps; Comment on Hawking and Black Holes; Basic Forces & Interactions Based on Dialectical Logic; On the Origin of Nuclear Charge Radius & Planck’s Constant; & On the Role of Hubble Volume in Black Hole Cosmology. 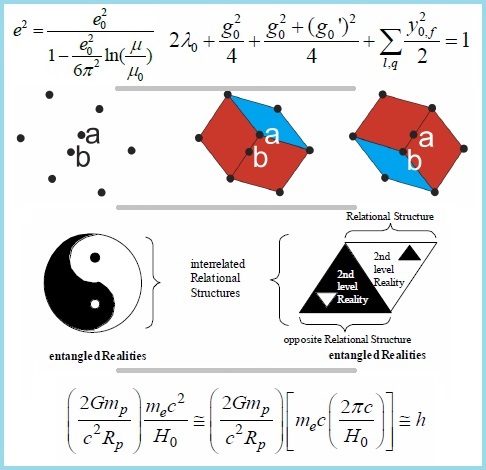 Challenges of the Standard Model; On the Causal Structure of the Universe; Magnetized Kerr Geometry; FRW Cosmology with Time-varying G, Λ & q; On Graphene and High Energy Physics; & The Connection between Quantum Mechanics & Gravity. 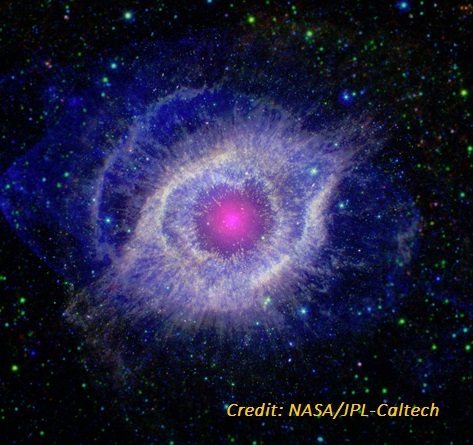 Vol 4, No 11 (2013): Fundamental Physics: What Is the Big Picture? What Is Quantum Gravity? What Is Graviton? 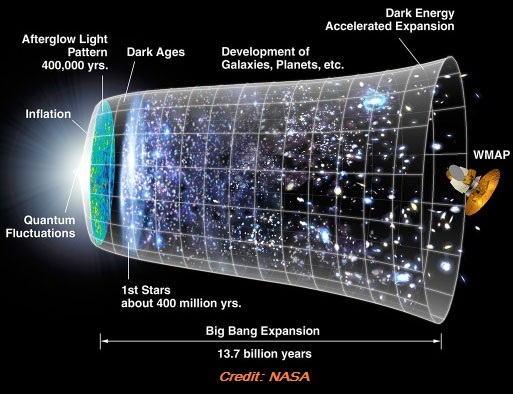 Fundamental Physics 2013: What Is the Big Picture? 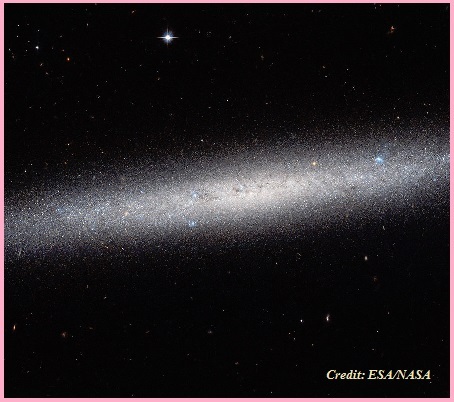 What Is Quantum Gravity? What Is Graviton? 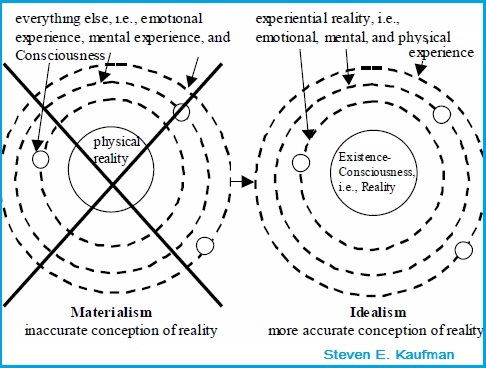 New Concepts & Semi-Empirical Fittings in Understanding SUSY; On the Emergence of Physical World from Deeper Reality; Review of Love and Math by Edward Frenkel; & Nobel Prize 2013 & Some Other Prizes. 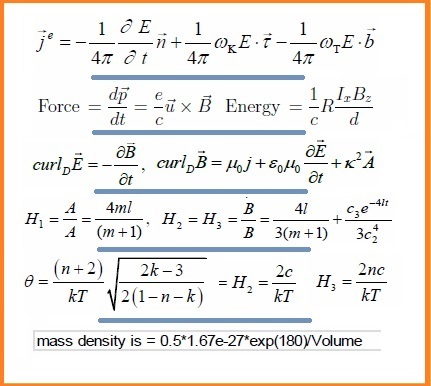 It from Bit Is Undecidable; Stringy Scattering Amplitudes in Twistor Grassmannian Approach; Bianchi Type-IX Universe with Perfect Fluid in f (R, T) Modified Gravity; The TGD Variant of the Widom-Larse Model for LENR; & Fitting the Nuclear Binding Energy Coefficients. Open Challenges of the Higgs Sector; Quantum Field Theory & Fractal Geometry; Commutator Curves & Exponential Maps; Evaluation of Certain Arithmetical Functions; LRS Bianchi Type-I Bulk Viscous Cosmological Models; Microscopic Physical Phenomena in Black Hole Cosmos; Emergence of the Electroweak Scale from Fractal Spacetime; & Note on Inflation and Fluctuations. 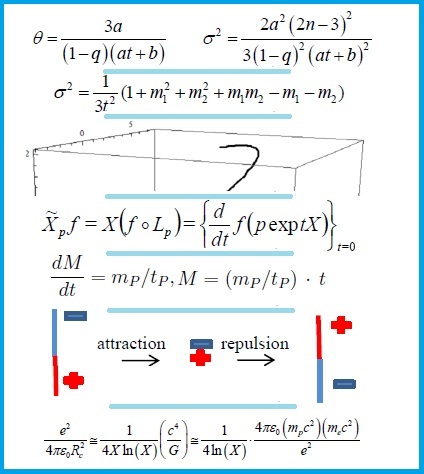 Fractal Spacetime for the Cosmological Problems; Riemann Zeros & an Exponential Potential; Fresh Ideas about Twistorialization of TGD; New Characterization on Inextensible Flows; Higher Dimentional Cosmological Models; Science Theory Tests & Cosmic Order; Source-Sink Model of Galaxies; & Photosensitive Emulsions & Dark Matter. 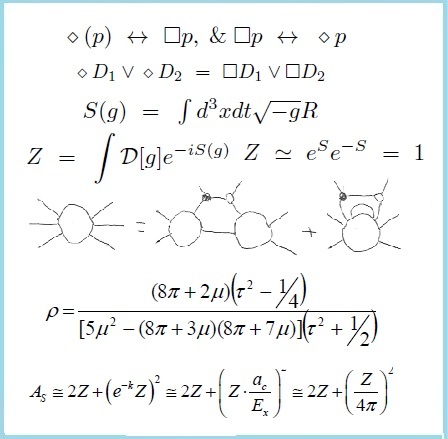 Abel Resummation, Regularization, Renormalization & Infinite Series; Six-Dimensional Bianchi Type–I Universe with Wet Dark Fluid; A Higher-Dimensional Charged Singularity Free-Solution; Higher Dimentional Bianchi Type-III Cosmological Model; Supercomputers, Artificial Intelligence & Brain Power; Naturally Unnatural; Naturalness, Fine Tuning; & Open Access Debate. 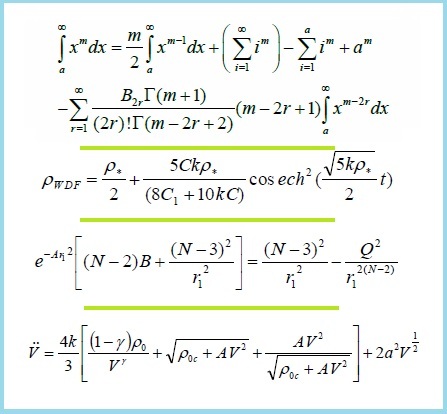 Post-Newtonian Corrections to Gravitational Potential Fields; Voids between Galaxy Clusters & Chirality of Spiral Galaxies; Interrelation of Mass and Gravitation in NTEP & SM; Bianchi Type-I Bulk Viscous Cosmological Models; C-field Cosmological Model for Dust Distribution with Varying Λ; Kaluza-Klein Type Dissipative Future Universe without Big Rip; 5-dimensional Dust Static Spherically Symmetric Non-vacuum Solution; Perfect Fluid Cosmological Models in GR and f(R,T) Gravity; Non-static Plane Symmetric Zeldovich Universe; Why I Still Like String Theory.